We inspire to improve the life of people everywhere in the world with the help of compassionate caregivers. We feel, we can make this a world a better place for seniors and people in need of care to live a comfortable life and be respected in. Ultimately helping connect people who can help to those who need it the most. Whenever a person is in need, a caregiver is there to heed. 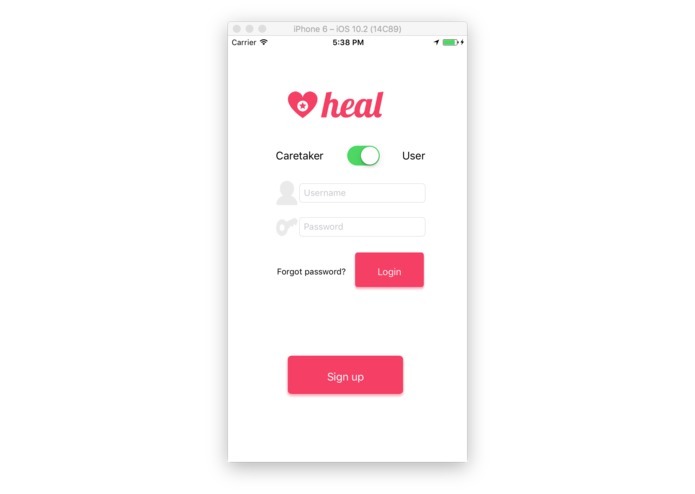 Heal is platform for people in need of care, assistance and help to find people willing to help you through difficult times. Whether you are sick and home alone or you are a senior citizen who requires assistance to facilitate and make life easy, Heal provides a service to give you relief when it comes to this. 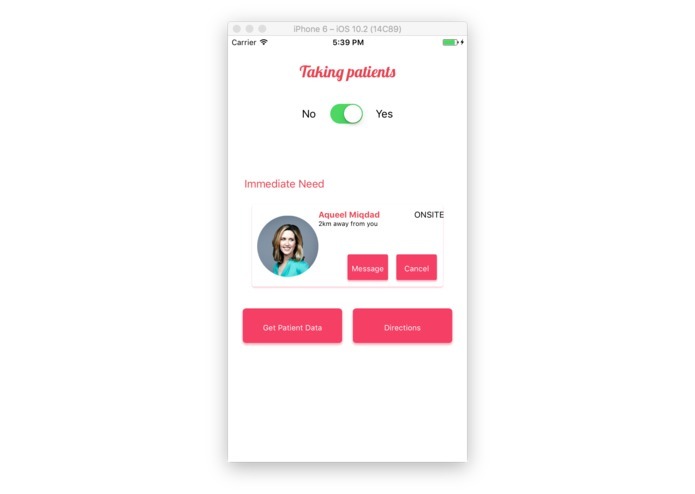 Our goal is to create a uber-service for caregivers to reach out to people. 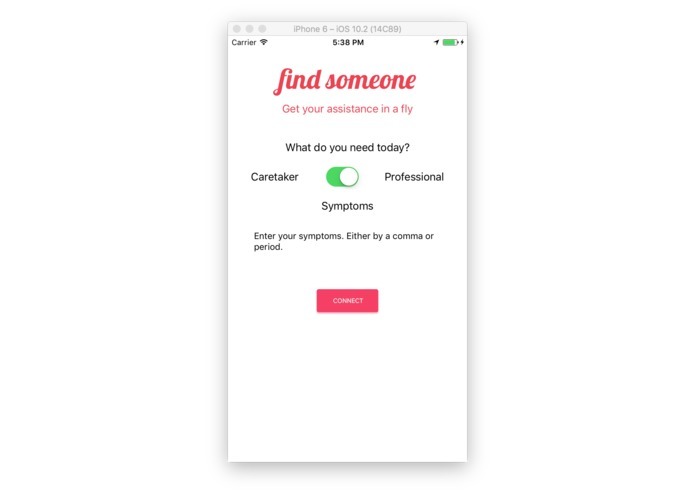 Seniors, who fail to receive support from their family or live privately in an isolated place, but require extreme need and care during their feeble age, can use and benefit from this app extensively. 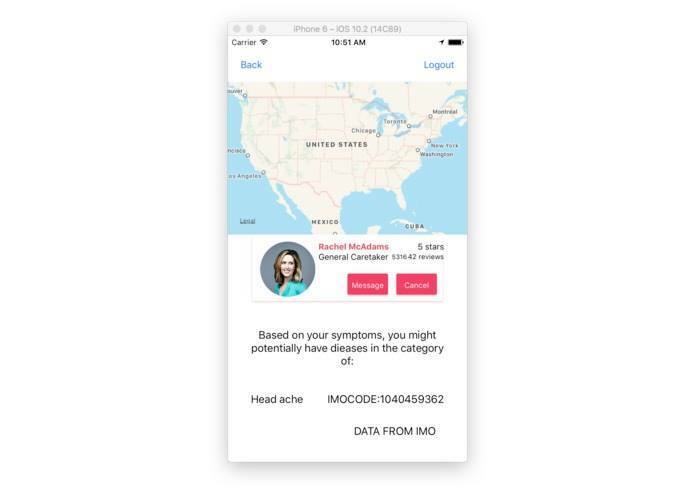 Through this iOS app, whenever a person is experiencing moderate to strong illness, by typing in the symptoms, he/she is experiencing into the app; the nearest available caregiver available for attending to the situation would be contacted. The caregiver would be provided specific information regarding the symptoms the respective person is facing and the possible category of health disease the symptoms may possibly fall into. 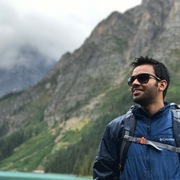 Requesting authorization from IMO to access their data in their database using the api key and api secret (IPL) Implementing the REST API in flask iOS? Developing opensource project needs a lot more planning and modularizing to enable collaborative work on project in the future. Opensource projects needs to be thoroughly documented to thrive as a free software. 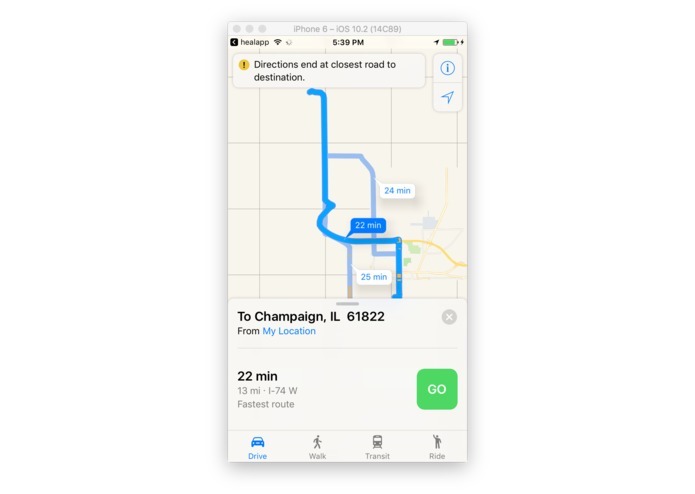 It is not impossible to create a swift app that did something similar to Uber in under 36 hours. A team can generate productivity through teamwork, hardwork and determination. We hope to bring this app into android and web platforms. We aim to bring this app globally into the market. We have modularized the features within the app to ensure easy readable code and quickly start contributing to the project.